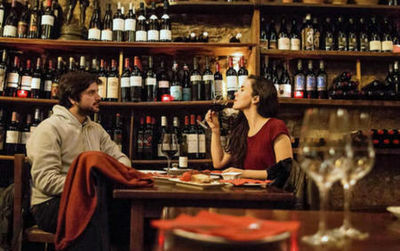 Every day we give you a new selection of recommendations to do during your visit. 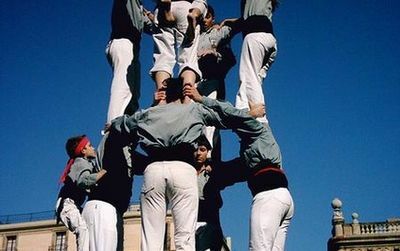 From the next FC BARCELONA MATCH to the available SKIP THE LINE TICKETS for the main MONUMENTS. 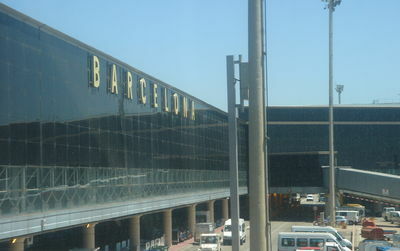 If you want to visit pleasantly, it is necessary to organize your trip before leaving. 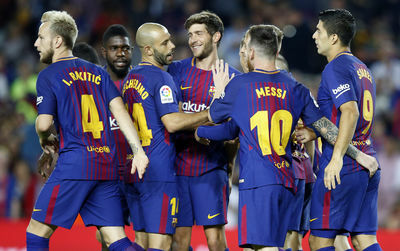 The Barcelona City Pass is a great option for those who wish to enjoy all of city''s highlights, without the inconvenience of booking several tickets and having to collect the card. 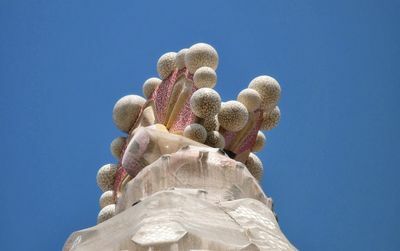 Included: Includes skip-the-line tickets for the Sagrada Familia and Park Guëll + Hop-On Hop-Off Bus (24h or 48h) + Aerobus & much more..
See master architect Antoni Gaudí's first masterpiece Casa Vicens! 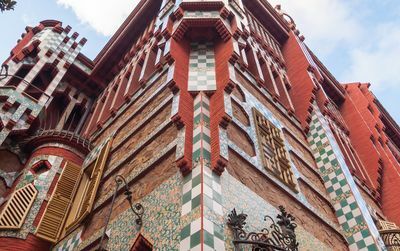 And discover all the candy-colored secrets of this jaw-dropping summer house..
Visit the Catalan capital with local experts for a cultural and fun discovery at the same time. Tickets without queuing to save you time. Carefully selected visits for unforgettable memories. Our city pass and combined tickets are the best way to save money! 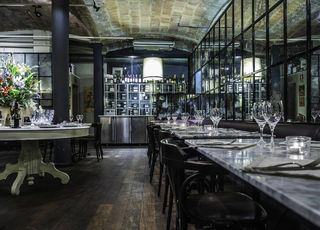 Guided visits to 4 emblematic restaurants to taste spanish and catalan authentic products. 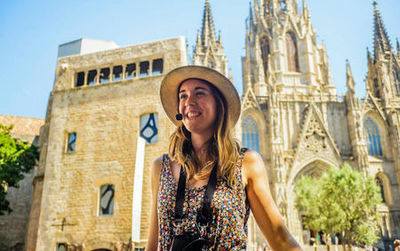 This 3.5hours tour through the Gothic and El Born quarters is the perfect balance between the discovery of a city and its gastronomy. 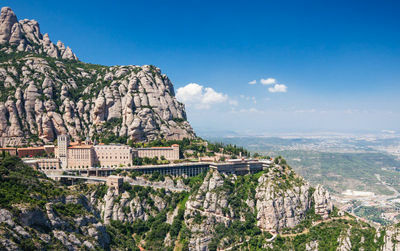 An hour's drive northwest of the big city, Montserrat is both a breathtaking mountain range and a place of recollection. 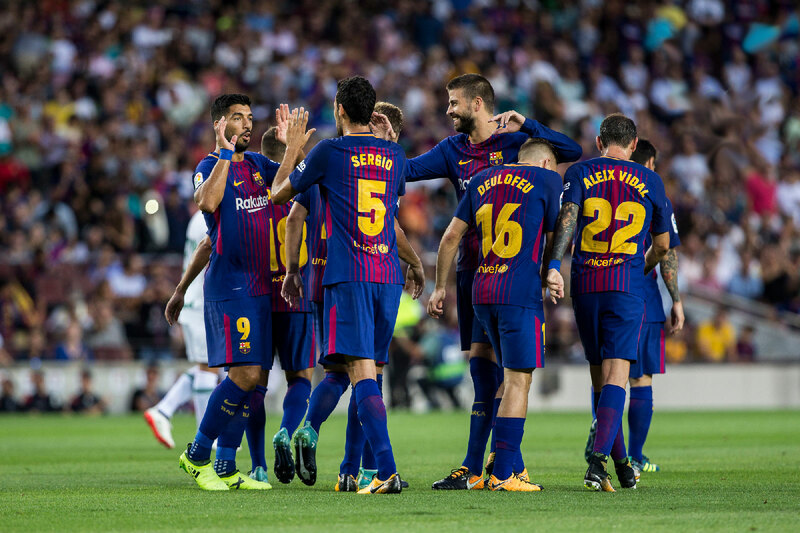 Visit our page dedicated to this major symbol of Catalan culture to find our thematic guided tours like: Montserrat tapas and wine tour, visit of Montserrat Monastery and much more..
Camp Nou Tour ! 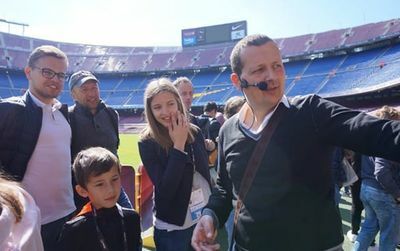 From the locker rooms to the football field discover the Camp Nou stadium and its Museum by yourself with a simple ticket or with a true local guide, fan of the Barça! 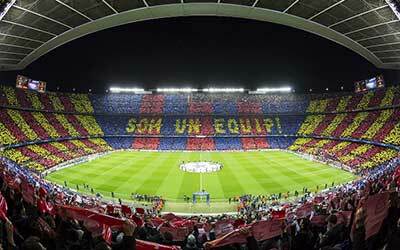 You will see absolutely all the facilities and feel the atmosphere of this mythical stadium before visiting the Shop of the Club! Accommodation is the first step in preparing your stay. 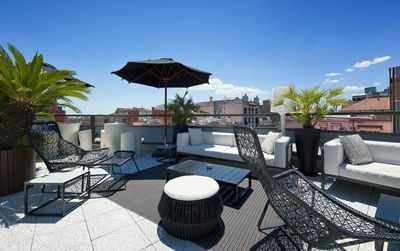 To help you find the right hotel, we have pre-selected BEST, DESIGN, BEACH, YOUTH HOSTELS, AIRPORT HOTELS according to the tourist places of the city like the Ramblas or by the sea. Charming or design but always our favorites! 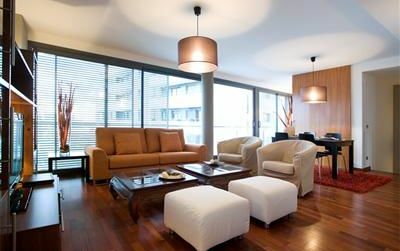 For families or a group of friends, we propose to rent a modern and fully equipped apartment for your visit. This is the cheapest way to enjoy our sunny city. 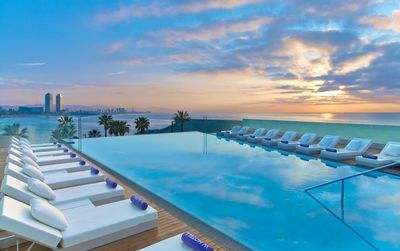 Whether you are looking for a family or a business stay or just for a weekend, we have selected fro you the best hotels in the city to choose from. All categories at all prices. But also the bargains according to your travel dates. Have a good stay! Welcome backpackers! 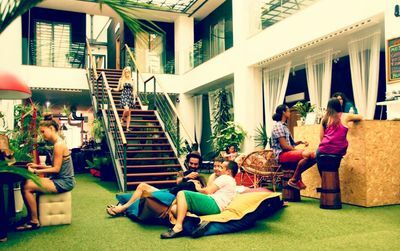 We help you find best prices hostels with great amenities such as sunny terraces, gym, swimming pool, free breakfast, evening bar. 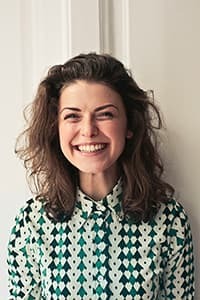 A guide to find youth hostels categorized by party hostels, design hostels, boutique hostels, bed and breakfast, guest house.. 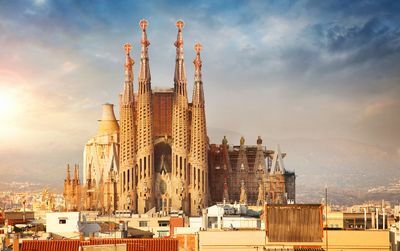 When visiting this great city, one must at least see one of the great masterpieces of GAUDI: the SAGRADA FAMILIA, CASA BATLLÓ or PARC GÜELL. 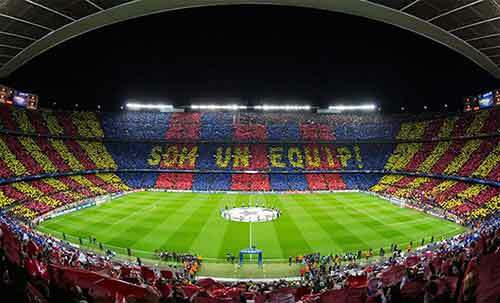 But the football fans will go directly to visit the CAMP NOU or to assist a football match. Others will prefer to stroll in the historic districts of the city. 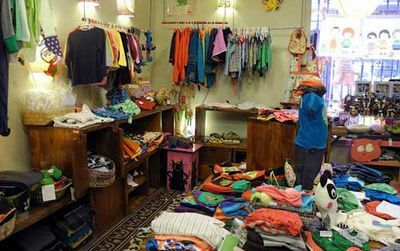 For families with children, the ZOO, POBLE ESPANYOL or the AQUARIUM are preferred. 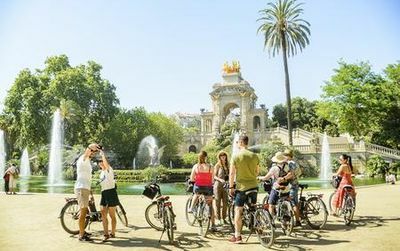 For a weekend or a longer stay, our popular selection of the best tours to do alone or in group, by bus, on foot or biking.. Another way to visit! 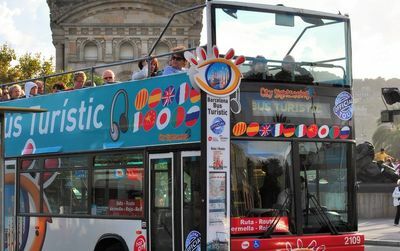 Best sellers skip the line tickets to purchase in advance: Sagrada Familia, Casa Batlló , Casa Milà - La Pedrera, Park Güell, Casa Amatller, Fundació Joan Miró, Palau de la Música Catalana, Poble Espanyol, Camp Nou and much more..
With this comprehensive bus tour you can hop on the bus, see some sights from your comfy seat, and then hop off at any stop you'd like to get to know better. 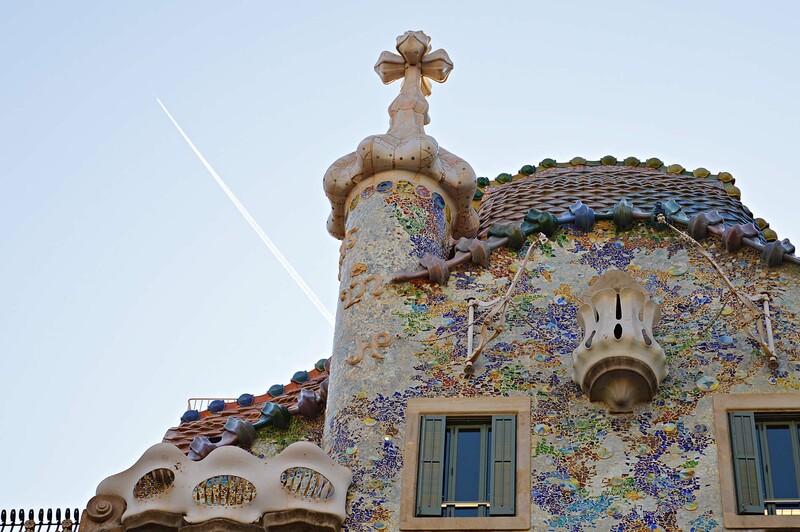 When you're ready, hop back on the next bus, and continue to get to know the Catalan capital. 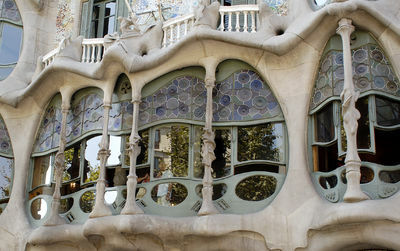 Skip the lines to 3 architectural masterpieces by Antoni Gaudí with our fast pass and enjoy the modernist buildings without wasting your time waiting in the long queues at the entrance. 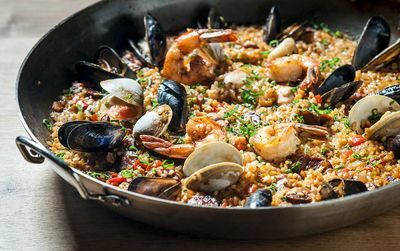 Where to eat a good paella ? 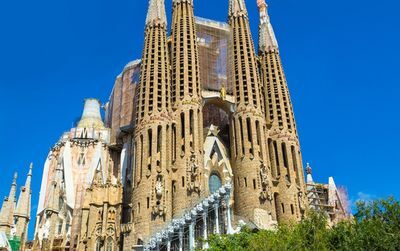 Famous buildings and monuments to visit. We guide you to the Best ! 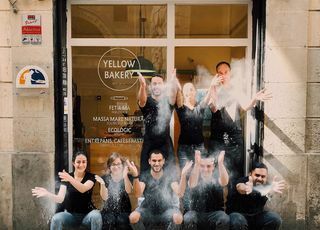 With our Barcelona City Guide you will discover the places of interest, museums not to miss and our famous where to eat guide! 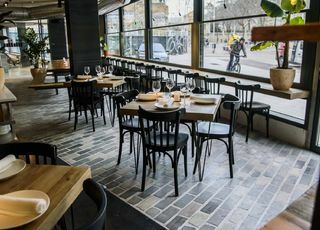 Where to eat is our selection of restaurants. 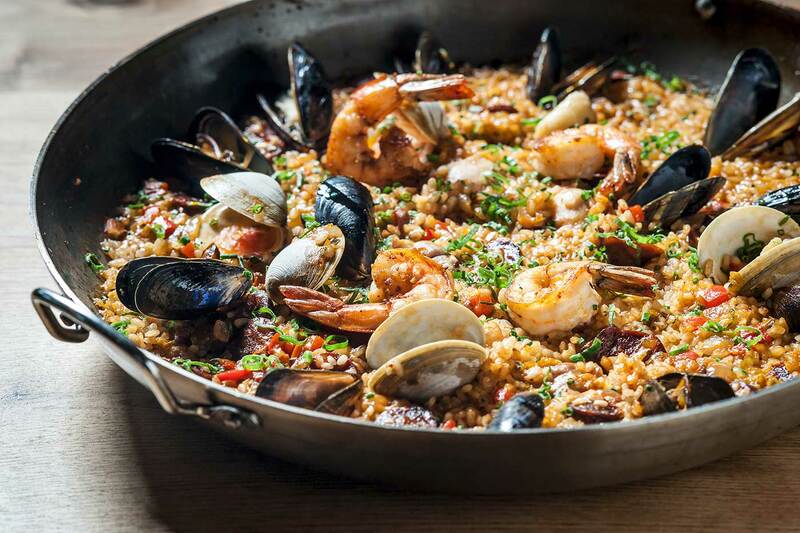 From best priced quality restaurants to applauded tapas bars. All with our "B" for recommended. 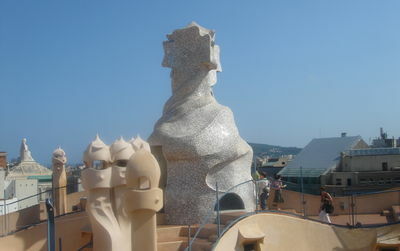 In our guide you will find all the famous monuments a city to visit by walking. 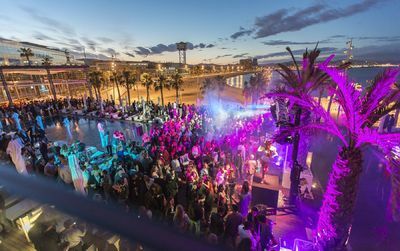 But if you stay only a few days, we have selected the most interesting ones that we believe you can not miss. Follow the "B" !. 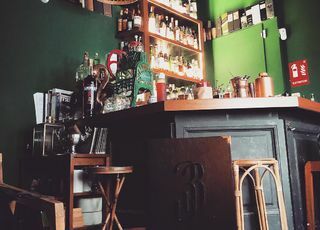 In this “Best nightlife” we try to help you find the best clubs, discos, bars, cafes.. Not all, but the ones we like the most and have the greatest atmosphere. 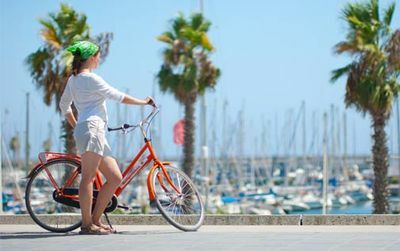 In this short guide, we recommend you the “not to miss” during your short stay and all practical information about the city. 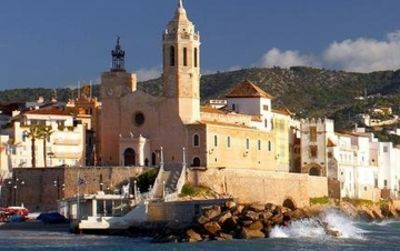 A guide to discover Catalonia with its 160km long Costa Brava's coastline on the north and its beautifull Costa Dorada, The Golden Coast, on the south. Natural beauty, endless miles of sandy beaches and summer sunshine. 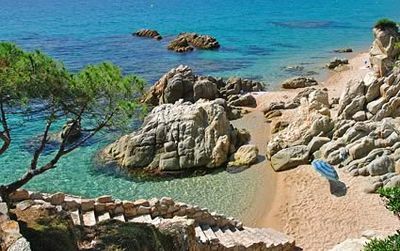 The Costa Brava is not only a vacation's heaven but also a cultural region with museums and points of interest. 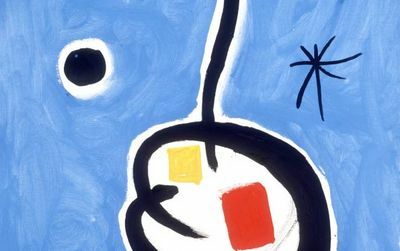 The country of Salvador Dali! 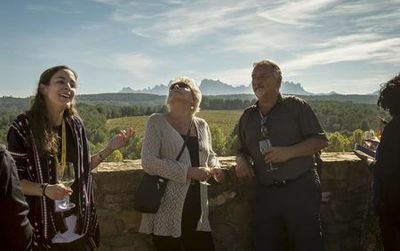 2 days for visiting North Catalonia, one day trips to Figueres, Girona, a Montserrat tour, Tarragona and a lot more like one day in the Pyrennees mountains, a Cava wine tasting, a cheese testing and even golf.. A great way to see more of our region! 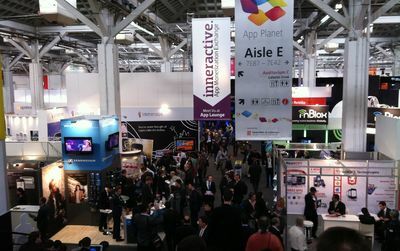 Find information on major trade shows. Discover places of interest with our photo-tour. 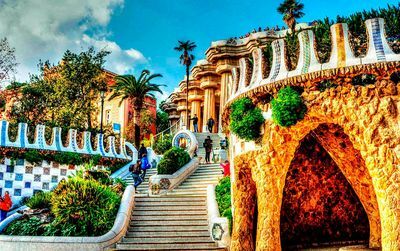 Learn how the name of the city became a lot more than a city name..
A beautiful scrolling page made of best pictures and videos, to give you a first impression of a city you can only fall in love with! 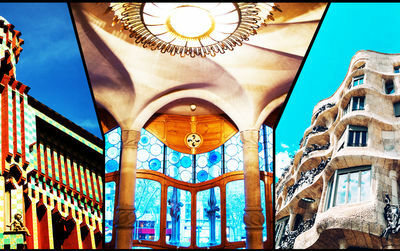 One of the most visited cities of the world deserves to be presented to you as a phototour. this you can have an idea of what you can't miss and you'll understand why people talk about it that much!